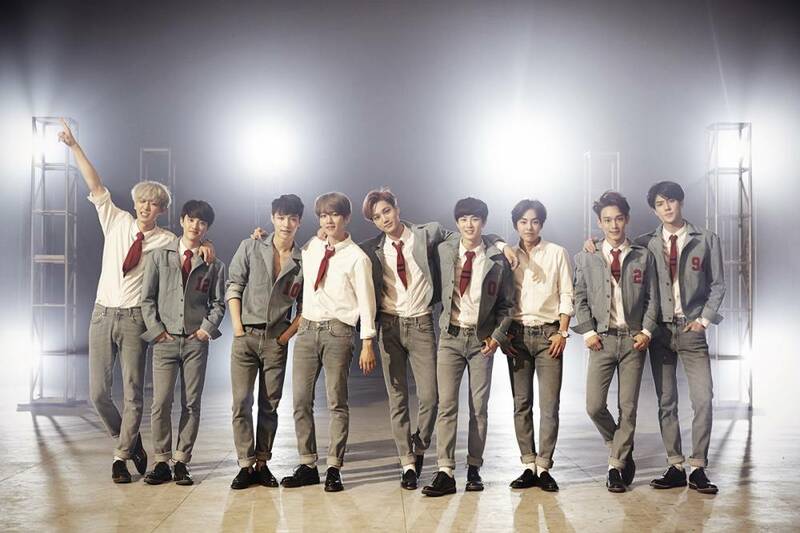 One of the biggest Kpop sensations EXO may be coming to Malaysia next year. After performing their first sold-out solo concert tour “EXO From. EXOPLANET #1 – THE LOST PLANET”, the group is set to have their second concert tour dubbed as “EXO PLANET #2 – The EXO’luXion” – and this time, Malaysia is reportedly included! According to Hype, EXO is said to have their first large-scale concert in Malaysia somewhere in March or April 2016 as part of their second concert tour. 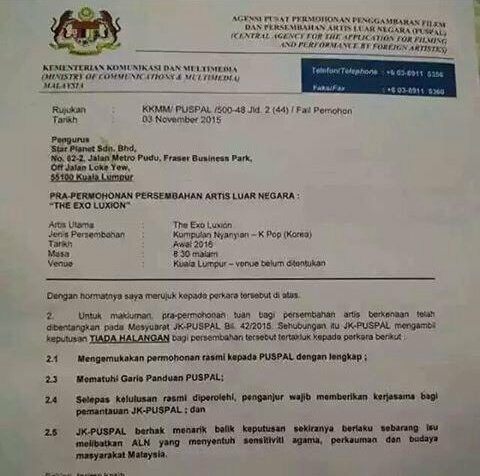 Also, the speculation seems to be valid after a photo of a pre-application letter for EXO’s concert in Malaysia surfaced online. EXO came to Malaysia for the first time in 2012 together with Super Junior-M and BTOB for Asia Super Showcase. The boys also attended the 27th Golden Disk Awards (GDA) in 2013 and were last seen in the country for the MTV World Stage Live in Malaysia 2013. Though it is unsure whether their upcoming concert in Malaysia is true or not, it has been confirmed that the group will be coming to Singapore on 9 January 2016 at Singapore Indoor Stadium. So, if you’re worried that you won’t be able to catch the boys in Malaysia, go catch them in Singapore!